We woke this morning to the sound of raindrops against the window. I haven't heard a better sound in WEEKS. Here in Richmond, we have gone almost a month without any significant rainfall and with the regional water restrictions, we have had to water CJ's Butterfly Bush sparingly. This has been a great year for the butterfly garden. Our yard was visited by many butterflies and bumblebees. I have seen butterflies everywhere this summer. I know some of that is just the power of suggestion. It's like when you buy a new car and all of a sudden you see how many people on the road drive the same, exact car. They were always there. You just didn't notice. Now I cherish those butterfly visits. A few weeks ago, I was working the front desk at Romp n' Roll and a small monarch flew right up to the front door, perched on the glass for a few minutes, and gently opened and closed her wings. She stayed there for what seemed like a long time and then flew away again. It's moments like those that are gentle reminders of CJ's presence in our lives. How many butterflies have you seen this summer? Now that fall is upon us, we are preparing for the change that is to come. Roger and I both spent some time in the yard yesterday, chopping wood for the winter wood pile and clearing out the window boxes and pots on the back deck. You can definitely feel the change that is coming in the air. On that note, let me share some news and announcements to bring you up to speed on all the CJSTUF...stuff. 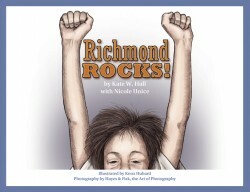 This week is your last opportunity to get a copy of childrens book Richmond Rocks at Romp n' Roll-Mechanicsville. The autographed hardback books are $15.70 (tax included) and 30% of the proceeds will go back to CJSTUF. We can accept cash, check, or credit cards for the books at Romp n' Roll. Madison Fairburn of M. Chase Photography is hosting family photo sessions on October 16th at Pole Green Park to benefit CJSTUF. This is a perfect opportunity to schedule your family portraits for upcoming holiday pictures. If that date doesn't work for you or you want a different setting for your portraits, contact her and schedule CJ's Storybook Package any time between October and March. 25% of the proceeds will benefit our organization. Doris Hassell of Arbonne skin care will also be a featured business for October. We will give you more details about opportunities to give back to CJSTUF through Arbonne soon. The Double Marathon Challenge continues! Roger has been running quite a bit lately. His weekly totals are around 35-40 miles at this point. Two weeks from today, he will be running the Chicago Marathon. Six weeks from yesterday, he will be running the Richmond Marathon. For anyone curious about our pledge totals, you can visit our Double Marathon page. If anyone has been collecting pledges for the UM or VT teams, please begin to turn them in to us. The University of Miami fans (or non-Hokie fans?) have been leading the charge almost 2:1. We have received a little over $5000 in pledges and Roger's goal is $10,000 by the November 13th Richmond Marathon. First, we will be holding an online auction for about 20 unique jewelry pieces that have been created exclusively for CJSTUF by Crystal Paintbrush artist Sarah Blankenship. The collection will include necklaces, earrings, pins, and bracelets that have been designed with pink, purple, and white semiprecious stones and beads. The butterfly is a prominent theme in many of the pieces. We are planning for the online auction to take place on eBay during the first two weeks in November. On that note, we are now registered through eBay Giving Works. If you are selling items on eBay and want to give a portion of your proceeds to our organization, it's easy through this program. Simply follow the links to set up your sale. A portion of the proceeds from the sale (whatever you decide) will automatically be donated to us and you will receive a listing credit for your item. Mark your calendars for Saturday November 20th. 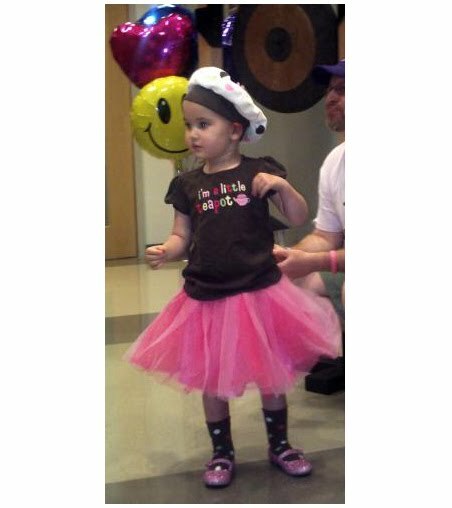 From 9 AM-12 PM, the Henry Clay Elementary school parking lot in Ashland will be the site of Citations for CJ. This will be a fun, easy way to give back to our organization and we are hoping to attract some publicity for the Foundation with this unique event. More information to come soon. There always seems to be more news to report. Thanks for continuing to follow our blog and website as well as our many musings on Facebook. So excited, we just reached out to M. Chase Photography for our family session :) Can't wait!! !